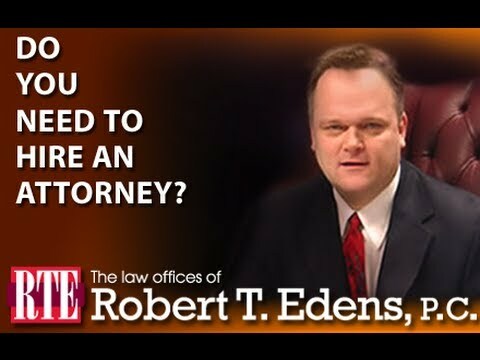 THE LAW OFFICES OF ROBERT EDENS WINS CASES & GETS RESULTS! Illinois attorney Bob Edens has gotten millions of dollars for his clients and will do everything in his power to ensure that you get the money you deserve for your personal injuries. 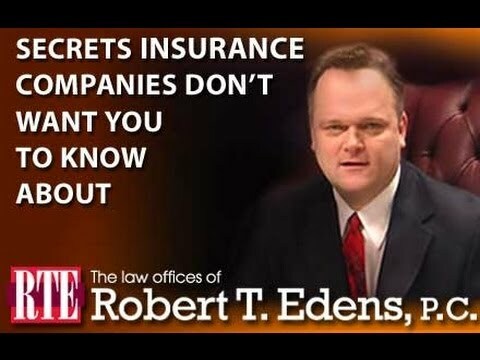 The list below contains some of verdicts and settlements Bob has gotten for his clients. Some of our biggest cases have involved large, well-known companies, and include a non-disclosure stipulation in the settlement agreement This means we can’t expose their identity or the details of the settlement whatsoever. However, no case is too big or too small for us to handle, if it meets our minimum case criteria. Why do we try to settle cases out of court? Simple, because our goal is to get our clients the financial compensation they deserve without the emotional, financial, time expenditure and risk associated with a trial. However, we will not hesitate to take a case all the way to a trial so your story can be heard with a fair and impartial jury. How much money can I get for my injuries? The actual value of your case can’t and shouldn’t be determined until your doctors have had sufficient time to evaluate your injuries. Only then should a settlement even be considered. Other considerations will be the nature and extent of your injuries, if they are permanent in nature, and what impact they will have over your everyday life. Your medical bills, pain, and length of time needed for recovery are also considerations. How Do You Know What Your Case is Worth? You can get a general idea of what your claim may be worth by researching the case results below. Cases in bold type are Bob’s most recent awards for his clients. man injured while rear-ended on Route 173 requiring additional permanent spinal fusions. man was rear ended by semi-tractor resulting in fusion of the L4-L5 vertebra. A parts driver for NAPA Auto parts was distracted while switching stations on the radio of his auto parts truck when he ran a red light at the intersection of Grass Lake Road and Rt. 83/Main Street in Antioch, Lake County, Illinois. The driver of the parts truck struck the Antioch resident in a T-Bone collision, resulting in, among other injuries, an L-4/L-5 Disc herniation. Injured man tried an IDET procedure, but it was unsuccessful in relieving his back pain and other symptoms. After physical therapy he final underwent a L-4/L-5 discectomy resulting in partial relief from his symptoms. His orthopedic surgeon testified that he would have permanent injury caused by the loss of ability to perform activities of daily living, including his ability to work. man injured when vehicle he was traveling in was struck on passenger side on Route 173 by semi-tractor which failed to stop at an intersection on Route 45.
woman injured when driver ran red light at Route 12 and Bonner Road causing an aggravation of a malsariff formation requiring surgery. A gentlemen who was injured when a vehicle he was a passenger in left the roadway traveling at 180 miles per hour on North Avenue in Antioch, Lake County, Illinois. 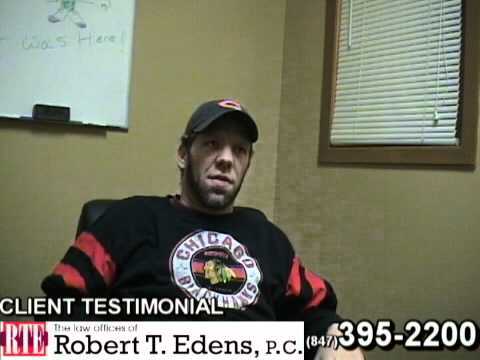 Bob’s client was involved in a head on collision when another driver turned left in front of her from Grass Lake Road onto Route 83 in Millburn, Lake County, Illinois. Injuries included fractures to both knees, a broken ankle and neck pain. Woman awarded six figures when the car she was traveling in was rear ended on Route 173 in Zion, Lake County, Illinois, resulting in herniated L4-L5 disc requiring fusion surgery. man hit from behind at 40 miles per hour resulting in herniation of the L4 and L5 lumbar discs requiring spinal fusion surgery. arbitration judgment for injured when driver ran stop sign striking passenger side of vehicle causing fracture of her wrist requiring open fixation, closed reduction, surgery. Summary: Plaintiff was driving in rural Madison County when he saw a minivan collide with two horses. He then swerved to avoid a horse in the roadway. He heard a pop in his right shoulder and was diagnosed with a SLAP tear. The horses had escaped from their fenced in pasture. Plaintiff contended that there was a prior incident with Defendant’s horses escaping. Defendant argued the prior incident involved different horses and a different pen and that they had had no other incidents in decades. Plaintiff refused treatment at the scene but sought medical treatment the next day. Summary: Plaintiff was waiting to turn at the time of the collision. Plaintiff claimed the impact aggravated her pre-existing herniated C6-7 disc, bulging C5-6, and cervical arthritis requiring her to undergo cervical discectomy and fusion surgery. Plaintiff had a 20 years history of intermittent neck pain and radicular symptoms. Defense asserted Plaintiff only suffered cervical/lumbar strains and that her surgery was solely caused by her pre-existing degenerative condition. A cervical MRI taken seven months prior to the occurrence was identical to the MRI taken after the accident. Summary: Husband and Wife Plaintiffs were stopped waiting to turn when their van was rear-ended by Defendant’s vehicle. Defendant was distracted by cell phone. Plaintiff wife suffered neck strain. Plaintiff husband claimed neck and low back strains. Defense admitted negligence but disputed the nature and extent of Plaintiffs’ injuries as they did not seek chiropractic care until after they hired an attorney and Plaintiff husband was released to work after one week. Plaintiffs Struck From Behind While Attempting Left Turn Into Driveway. Summary: Plaintiff Driver and Plaintiff Passenger state they were struck from behind by Defendant’s vehicle when they slowed to make a left turn. Plaintiff Driver claimed cervical strain, back pain, and a laceration to forehead resulting in a scar. Plaintiff Passenger claim cervical and lumber injuries including herniated discs at L5-S1 and C3-4. Defendant asserted that Plaintiffs pulled off the roadway onto the right shoulder and then pulled back onto the roadway directly in front of Defendant’s vehicle. Impact occurred on the driver’s side of Plaintiff’s vehicle. Summary: Plaintiff entered bi-directional median left turn lane intending to make a left turn when she collided with Defendant who had just exited a private driveway. Plaintiff sustained a fractured sternum, cuts and bruises, and required observation due to a prior kidney transplant. Defendant was attempting to make a left turn. The Defendant was ticketed and pled guilty in traffic court. Defendant stated that traffic was completely stopped and two other drivers waved her through the gap between cars, at which time she cautiously and slowly crossed the lanes and stopped before entering the bi-directional median. Defense contended that Plaintiff was traveling too fast and that Plaintiff’s testimony was not credible and in direct contradiction to Defendant and his eyewitnesses as to how the crash occurred. Summary: Plaintiff’s SUV was struck by police car at uncontrolled intersection. The impact caused Plaintiff SUV to flip over. Plaintiff suffered a broken nose, requiring surgery. Plaintiff claimed he had the right of way, that he had made it most of the way through the intersection, and that the police officer did not have his headlights on. Plaintiff’s passenger testified that the police car’s headlights were not on. Officer maintained that he did have his headlights on and that the Plaintiff was driving too fast for conditions and failed to slow down when coming to an intersection. Summary: Defendant rear ended Plaintiff’s vehicle. Plaintiff suffered soft tissue injuries to her neck, back, shoulder, and face. The defense admitted liability. Summary: Plaintiff was rear-ended by Defendant while waiting to make a left turn causing neck, back, shoulder, and had soft tissue injuries. Summary: Plaintiff was operating a scooter when the Defendant pulled out from a stop sign in front of her, causing her to collide with Defendant’s car. Plaintiff did not have a stop sign. Plaintiff was thrown from her scooter and struck the back of her head on the pavement. Plaintiff sustained a subdural hematoma, closed head injury, and permanent brain injury with a visual field defect know as homonymous quadrantanopia scotoma, which caused a blind spot of approximately 5% in her field of vision. These injuries were undisputed. After missing six months of work, Plaintiff returned to work and was forced to transfer to a less critical position with less reading due to her vision impairment. Plaintiff was unhappy with this position and eventually resigned. Plaintiff also claimed the collision caused neck and upper back injuries and chronic headaches. Defendant contended that the cars parked along the side of the road obstructed her view forcing her to inch out into the intersection in order to see, and that the Plaintiff failed to take any action to avoid the collision. Defendant alleged that Plaintiff’s neck and back injuries were pre-existing. Summary: Defendant rear-ended an unmarked squad car in heavy traffic. Both Plaintiff’s were police officers. 1st Plaintiff claimed neck and back soft tissue injuries and the 2nd Plaintiff claimed a soft tissue neck injury and post-traumatic headaches. Defense admitted negligence but contended Plaintiffs were not injured to the extent they claimed. PLTF Medical: Dr. Herbert Lang (Internist), Dr. Joseph T. Alleva (Rehab/Physical Medicine) and Lina Bhat, P.T. Summary: Plaintiff was stopped at a red light and the rear end driver’s side of his car was struck by Defendant’s passenger side mirror. Defendant alleged that Plaintiff’s injuries were caused by a previous accident one week prior to this accident. Summary: Plaintiff was proceeding on a green light through an intersection when Defendant ran a red light while on her cell phone and entered the intersection. Plaintiff was able to stop in time to avoid hitting the Defendant. However, the Plaintiff was rear-ended by the driver behind her and pushed into the Defendant’s car. Plaintiff suffered a disc protrusion and aggravation of pre-existing degenerative disc disease in her lumbar spine requiring physical therapy and an epidural steroid injection. Surgery was recommended six years after the occurrence. The defense disputed the causation and extent of Plaintiff’s injuries. Summary: The three Plaintiffs were in a parking lot when they were rear-ended by Defendant’s 18 wheeler in stop-and-go traffic-twice. Plaintiff Miyoshi went to the hospital in an ambulance where she claimed soft tissue chest, back, neck and right knee pain. She weighed 628 pounds at the time. Plaintiff Andre went to the hospital on the next day with complaints of headaches, lumbar pain, and cervical pain. Plaintiff Pierre also went to the hospital on the next day and claimed ankle, lumbar and chest pain. Defendant admitted that he tapped the rear of Plaintiffs car but denied he did it twice. Defense contended that Plaintiff Miyoshi’s knee was not aggravated by any trauma from the accident, but because of her morbid obesity and that she made no complaints about her knee when she was in the hospital. Summary: Defendant admits that while he was approaching an intersection, he looked in his side mirror to check the load he was carrying in his pickup truck and when he looked up, the light had turned red. Defendant was unable to stop in time and T-Boned Plaintiff’s automobile causing it to spin and flipped over on the driver’s side. Plaintiff alleged injuries included deep swollen contusions to her left thigh and arm, cervical strain, lumbar strain, shoulder strain, myofascial pain, fibromyalgia, and emotional distress. Defense disputed the claims and stated that she refused medical treatment at the scene and only saw Dr. Adair one time. Summary: Police officer spots a Ford Probe driving erratically and follows the car with his emergency lights activated. He got within a block of the car but could not obtain any identifying information on the car. Police officer continued to follow the car at which time was going approximately 80 miles an hour. The police officer then witnessed a van pull out from a stop sign into the path of the Probe at which time the van was stuck, ejecting the passenger though a side window killing him. Both the driver of the Probe, Maluchnik, and the driver of the van took off on foot. The City denied the officer was chasing the Probe. Maluchnik was sentenced to 7 years for leaving the scene of a fatal accident. Defense Denies Collision Led to Senior’s Spinal Fusion Surgery. Summary: Plaintiff was rear-ended by Defendant while stopped. Plaintiff, who is 75, had undergone a prior L5S1 Laminectomy and fusion 13 years prior. Two days after the accident, Plaintiff complained of lumbar back pain and was radiating to his lower extremities. He underwent 2 ½ months of physical therapy, MRI and EMG/NCV. During this time, it was revealed that Plaintiff had diffuse disc degeneration, desiccation, and bulges with L3-5 Stenosis and right L4-S1 radiculopathy. Plaintiff had surgery consisting of lumbar laminectomy and fusion at L3-5 with a bone graft, titanium rods and screws. Defense argued that Plaintiff was not injured to the extent claimed and that he had been experiencing back pain since the 1995 surgery. There was no visible damage to Defendant’s truck. PLTF Experts: Rebecca Busch, R.N. Summary: Plaintiff was a passenger in a vehicle that collided with another vehicle causing Plaintiff to suffer a torn meniscus requiring surgery to repair. Plaintiff could not afford the surgery. Defense pointed to the gap in treatment and Judge allowed jury to hear about Plaintiff’s economic hardship as reason for the delay. Summary: Plaintiff was a passenger in a car that was rear-ended. Plaintiff suffered recurrence of a herniated disc at C6-7. She had undergone a discectomy 3 months earlier. This resulted in a C5-7 discectomy and fusion. Defendant plead guilty to the traffic ticket. Defense denied the impact caused or aggravated Plaintiff’s disc injury. Summary: Plaintiff was stopped for red light when defendant rear-ended her. Plaintiff claimed torn rotator cuff requiring surgery and forcing her to retire. Defense admitted negligence. Summary: Plaintiff was stopped waiting to make a turn. Defendant rear ended the car. Plaintiff was removed by paramedics and transported to emergency room. Plaintiff claimed injuries consisting of herniated discs at C4-5 and C5-6, trigeminal facial nerve injury resulting in permanent numbness and tingling in right side of face. Defense admitted negligence but contended Plaintiff was not injured. Summary: Plaintiff church volunteer was killed instantly when her car was struck by a man as he was fleeing the police at speeds exceeding 90 miles per hour. Her back seat passenger suffered a broken nose, multiple fractures to his right arm/elbow with partial degloving and permanent scarring. Police insisted that they were not near the man’s car and had discontinued their attempt to apprehend him due to the excessive speeds he was driving. There was a video surveillance tape from a nearby store that showed the crash and the police arrival 57 seconds later. Summary: Plaintiff was t-boned in intersection causing her SUV to flip over and land on the roof. She was left hanging by her seatbelt for 15 minutes until paramedics arrived. Plaintiff claimed to be suffering from post-traumatic stress disorder and soft tissue injuries. Defendant admitted negligence but contested the nature, extent, and proximate causation of plaintiff’s injuries. Summary: Plaintiff was driving when she was rear-ended by Defendant. Plaintiff contended she suffered from a right internal carotid artery dissection with almost complete blockage of the artery, a left internal carotid artery dissection, and headaches. Defense denied the nature, extent and severity of injuries. Summary: Defendant lost control of his vehicle and hit Plaintiff’s car head-on. Plaintiff sustained a compound fracture/dislocation of her right ankle including three tibia/fibula fractures and several torn ligaments, requiring three surgeries including insertion of a plate and screws. She suffers from a limp, no dorsiflexion of the ankle, and other permanent problems. Plaintiff was a two time U.S. National weightlifting champion who had been projected to be a member of the 2012 U.S. Olympic team. Defense contended that it is extremely difficult to predict athletic success. Defense also contended that plaintiff’s continued weightlifting was exacerbating her ongoing ankle problems. Summary: Plaintiff motorcyclist was struck in the intersection while attempting to turn right by Defendant who claimed that he had a green light. Plaintiff suffered fractures to his skull, vertebrae and clavicle. Defendant maintained that he had a green left turn arrow and that Plaintiff was in the intersection on a red light. Summary: Right front bumper of bus was clipped by a semi-tractor-trailer while the bus was turning left. The semi, coming from the other direction, was also turning left but from the center straight only lane. Plaintiff sustained herniated disc at L4-5 requiring a lumbar laminectomy and leaving her with permanent work restrictions. Defense admitted negligence but contested the nature and extent of Plaintiffs injuries. Summary: Retiree Plaintiff was crossing the street, in the crosswalk, when she was struck by Defendant’s vehicle. Plaintiff sustained a fractured left femur requiring open reduction and hardware, fractures of the left radius and ulna at the elbow requiring open reduction with hardware, multiple pelvis fractures, nasal bone fracture, multiple rib fractures, and a cerebral concussion with mild brain injury. Plaintiff suffers from a noticeable limp, walks with a cane, and has limited use of her left hand and fingers, including inability to grasp objects. Defendant admitted Plaintiff was in the crosswalk but that she should have maintained a better lookout before stepping off the curb. Phone records indicated that Defendant was on his cell phone at or about the time of the accident. Summary: Plaintiff was driving his car when he claimed he was cut off by Defendant’s delivery truck as it made a left turn causing Plaintiff’s car to strike the right rear axle of the trailer. Plaintiff sustained a fractured hip requiring pinning, fractured femur requiring rods and pins, ruptured patellar tendon, and damage to the weight-bearing surface of the knee (osteochondral defect). The defense denied liability and argued that Plaintiff was drag racing at the time. Summary: Parties were on their way to Great American when the driver missed her turn. The driver stated that she turned left into a driveway to turnaround. Plaintiff’s car was struck by Defendants vehicle. Plaintiff contended that the Defendant tried to improperly pass her on the left. Plaintiff’s minor child was airlifted to Lutheran General Hospital. She sustained lacerations to her spleen and liver and a non-displaced fracture to her right temporomandibular joint. Plaintiff’s mother suffered 6 broken ribs, bruised lung, pulmonary contusion, lacerated liver, and parietal scalp laceration. Defendant stated that he saw the van brake, move onto the right shoulder of the road only to suddenly turn out in front of him in what he though was a U-turn. He tried to prevent the impact but could not. Summary: Defendant failed to obey a stop sign and struck police officer’s vehicle as he responded to an armed robbery. Plaintiff sustained left ankle and tibial plateau fractures. Plaintiff is unable to return to work as a police officer. Police Officer Squad Car Runs Red Light Strikes Car. Summary: Defendant police officer ran a red light while in pursuant of a stolen vehicle and struck Plaintiff vehicle. Plaintiff suffered multiple pelvis and rib fractures, spleen and liver lacerations, and ongoing pelvic pain requiring implantation of spinal cord stimulator. Plaintiff alleged pursuit was not authorized. Defense contended that the squad card had its lights and siren activated. Summary: Defendant rear-ended a vehicle in which the Plaintiff was a passenger while driving drunk. Plaintiff suffered right torn rotator cuff with surgery, right town meniscus with surgery, right wrist nerve injury, and traumatic carpal tunnel with surgery. Summary: Defendant skidded on snow and ice and struck Plaintiff’s vehicle from behind. Plaintiff suffered C4-C5 and C5-C6 radiculopathy with discectomy and fusion. Plaintiff had neck and back pain from an earlier gun shot wound. Summary: Defendant rear-ended vehicle in which Plaintiff was a passenger. The only damage to Plaintiff’s vehicle was a cracked plastic bumper cover. Plaintiff sustained aggravation of degenerative disc disease and/or disc tears requiring 2-level cervical and 1-level lumbar fusion. Summary: Defendant struck Plaintiff’s vehicle causing aggravation of asymptomatic lumbosacral degenerative condition, causing it to become symptomatic and require L5-S1 fusion and physical therapy. Summary: Defendant rear-ended vehicle in which Plaintiff was a passenger causing Plaintiff to suffer herniated cervical disc with fusion. Summary: Defendant ran a red light crashing into Plaintiff’s car causing plaintiff to suffer a fractured sternum, rib fractures, and aggravation of pre-existing COPD. Summary: Defendant bus driver moved into Plaintiff’s lane causing Plaintiff to strike a median. Plaintiff suffered ankle fracture requiring surgery. Defendant claimed Plaintiff changed lanes. Witness supported Plaintiff’s version of events. Summary: Plaintiff was stopped at red light when she was rear-ended by a cab. Plaintiff suffered cervical, thoracic and lumbar strains/sprains. Taxi driver claimed Plaintiff cut him off and he could not stop in time. Defense also claimed that Plaintiff was not injured to that extent and that Plaintiff had pre-existing conditions. Summary: Plaintiff was rear-ended by Defendant at a speed in excess of 33 mph. The impact pushed Plaintiff’s car forward 5 feet into the rear of a pickup truck causing Plaintiff’s air bags to deploy and the head rest to break off from her driver’s seat. Plaintiff sustained neck and back injuries requiring treatment for 1.5 years and epidural injections to her cervical spine. Plaintiff claimed a traumatic brain injury with memory loss, fatigue, and attention/concentration difficulties. Plaintiff’s experts opined that Plaintiff was at an increased risk to suffer depression and/or dementia as a result of her brain injury. Summary: Plaintiff stated that she was t-boned by Defendant when he cut into her lane causing left shoulder strains and cervical strains. Defendant claimed Plaintiff drove into his vehicle. Summary: Defendant was a contractor who delivered materials for Menards. He noticed that his truck was loaded with the wrong materials. Defendant asserted that the guard at the gate in the Menard’s lumber yard told him it was okay to back up. Defendant backed up into Plaintiff’s. Plaintiff claimed that the impact caused him to aggravate pre-existing arthritis in his right knee necessitating total knee replacement surgery. Defendant asserted that it was a low impact collision and caused no injuries to the Plaintiff. Summary: Plaintiff was riding his bicycle to school when he entered a 4-way stop intersection and was struck by Defendant’s pickup truck. Plaintiff sustained a left inferior rami fracture of the pelvis, a 10 by 10 full thickness eschar to his left inner thigh, and a hematoma requiring a full thickness skin graft. Defendant, who had received her license 6 weeks prior to the accident, was also on her way to school. Defendant asserted that she stopped at the stop sign before proceeding into intersection but that the Plaintiff did not stop at his stop sign and she could not stop in time to avoid the collision. Defense argued that the Plaintiff was more than 50% at fault because he did not stop at the stop sign. Summary: Plaintiff was stopped waiting to make a turn when she was rear-ended by Defendant. Plaintiff complained that the impact aggravated her pre-existing cervical spine condition, caused her to have headaches, neck and back pain, and herniated her disc at L4-5, annular tear of L3-4. Defense admitted negligence but contested the nature and extent of injuries. Summary: Plaintiff’s vehicle was broadsided by Defendant’s when he failed to yield to a stop sign. Plaintiff suffered cervical strain, lumbar strain, muscle spasms, bulging disc at L5-S1 and possible right hip dysfunction. Defense admitted negligence but asserted that the Plaintiff’s medical treatment was excessive. Summary: Plaintiff was attempting to make a left turn when his car was struck in the intersection. Plaintiff contended he had a green arrow. Plaintiff had underlying cardiac condition and suffered a chest contusion and soft tissue injuries for which he underwent chiropractic treatments. Summary: Plaintiff was exiting the parking lot of the Chicago Police Department 16th District Jefferson Park Police Station, were he was employed as a janitor, and was struck by a police officer’s vehicle driving on the wrong side of the road. Defendant police officer did not have her lights or the siren activated on the squad car. Plaintiff was diagnosed with bulging discs at L4-5 and L5-S1, mild radiculopathy at S-1, and aggravation of pre-existing asymptomatic degenerative spondylolisthesis at L5-S1. Plaintiff eventually underwent L5-S1 fusion and disc decompression surgery leaving him with a 15 pd. maximum lifting restriction. He was unable to return to his job as a janitor. Defendant police officer claimed to have been driving on the median and that she made a proper left turn. Defense contended that the Plaintiff speed out of the parking garage. Defense also argued that because the Plaintiff had a glass eye he failed to see the defendant’s vehicle and caused the crash. Summary: Magdalena, her mother, Ewa, and her 3 week old daughter, Caroline, where in a parking lot when their vehicle was struck on the rear passenger side door by the Defendant. Magdalena claimed a herniated disc and compression fracture with permanent flare-ups of back pain. Ewa suffered back pain and bruises. Plaintiffs contend that the Defendant tried to flee the scene. The defense contended that the Defendant was just moving his car out of the way and contested the nature and extent of the injuries. Summary: Defendant made a left turn in front of Plaintiff causing a collision. Plaintiff claimed the impact caused abdominal abrasions, chest wall pain, finger laceration, three bulging discs at L3-S1, L4-5 stenosis, spondylolisthesis, facet hypertrophy, L-5 radiculopathy, lumbosacral strain, aggravation of pre-existing asymptomatic degenerative disc disease in the lumbar spine, chronic discogenic and myofascial pain, and numerous steroid and facet injections. Defense admitted negligence but contested the extent of Plaintiff’s injuries and damages. Summary: Plaintiffs were rear-ended by Defendant. Plaintiffs stated that the Defendant was going 70-80 when he hit their car. Plaintiff Michelle claimed cervical radiculitis, protrusion, cord compression, and stenosis at C5-6, plus severe headaches and lumbar/cervical strains. 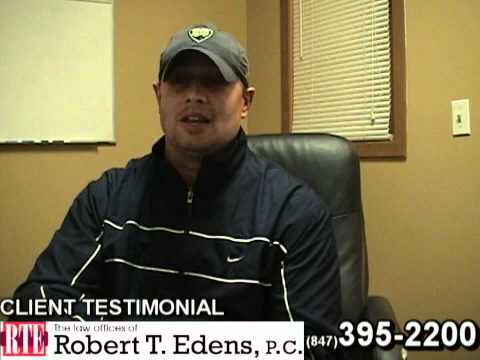 Plaintiff John claimed cervical and lumbar strain/sprain. Defense admitted negligence but denied Plaintiffs were injured. There were no photos of the damage to Plaintiffs’ automobile and the property damage bill was not admitted into evidence. Summary: Two cars collided in an intersection and then struck Plaintiff’s vehicle which was stopped. Plaintiff sustained acromial impingement and arthritis in his right shoulder, minor disc herniation at L4-5, and cervical strain. Both defendants argued that the Plaintiff was not injured in the accident or was not injured to the extent claimed as he refused an ambulance at the scene and there was a nine-month gap in treatment of his shoulder. Summary: Plaintiff was stopped at red light when he was rear-ended by Defendant. Plaintiff suffered neck/back pain and a bulging lumbar disc confirmed by MRI. The Defense contended that the impact was minor, there was minimal property damage, the Plaintiff was not injured, and that no tests confirmed the Plaintiff’s subjective complaints. Summary: Defendant claims he slid on ice and snow when he caused a collision. Plaintiff claimed a neck/back injury, a herniated disc, and headaches. The defense contended that the Plaintiff had time to avoid the impact. Summary: Plaintiff was driving on expressway when Defendant changed lanes and struck the side of her car causing her to rear-end another car and then crash into crash barrels on the opposite side of the highway. Plaintiff suffered cervical strain, myofascial pain, and aggravation of a pre-existing cervical disc protrusion. The defense argued that the Plaintiff was not injured. Summary: Plaintiff contended that Defendant ‘s semi-truck changed lanes and impacted her car. The defense contended that Plaintiff changed lanes in front of truck. Summary: Plaintiff was rear-ended by Defendant. Plaintiffs claimed to have suffered soft tissue neck/back strain/sprain. The Defense contended that the Plaintiff over-treated with his chiropractor, was exaggerating his pain, and the extent of his injuries did not warrant the amount of damages sought. Summary: Plaintiff stated that he was stopped when his car was struck by the Defendant. Defendant maintained that she was stopped on the shoulder or the road when Plaintiff’s truck struck the side of her car. Plaintiff claimed the impact caused degeneration, thinning and fraying of his rotator cuff, or aggravation of a previously operated pre-existing rotator cuff tear requiring surgery. Defense denied negligence and denied Plaintiff suffered any new injury or aggravation of pre-existing injury. man suffered torn rotator cuff and fractured knee requiring a knee replacement as a result of falling from faulty scaffolding on construction site. DEF Experts: Norbert V. Krogstad (Architect), Daniel J. Dowell (Construction) and Meredith Miller (Document Examiner). Summary: Plaintiff sued Defendant for breach of construction contract. Subcontractor improperly applied masonry to the building resulting in extensive reconstruction costs and relocation. Summary: Plaintiff cardiologist left his employment with his medical group. The medical group, per employment contract, was supposed to send a letter to all of Plaintiff’s patients informing them of his departure and how to contact him. The medical group failed to do this. Summary: Plaintiff claimed that she was owed commission on three accounts that she worked on while employed with Internap. Internap had provided Plaintiff with a document that provided the terms for how her commissions would be paid and paid them to her pursuant to that document, except for the three in questions. Defense argued that there was another contract in force and that Internap had the right to reduce Plaintiff’s commissions at any time. Defense could not produce a signed copy of this second document. Man severely scarred when bitten by his friends dog. Summary: Client from Lake in the Hills, McHenry County, Illinois Severely scarred when bitten by his friends dog. Summary: Plaintiff Thomas Rooney, D.M.D. (Maxillofacial Surgeon) was injured in fight outside of bar. Plaintiff asserted that the fight was because of Defendant’s intoxication which was due to alcohol that he consumed in bar. Defense asserted that the fight was over union politics. Plaintiff suffered a shattered left eye socket which required surgery and insertion of two metal plates. Defendant pled guilty to misdemeanor battery charges in connection with the fight and settled with Plaintiff prior to trial for $10,000. Judge granted the bar a $10,000 set-off from the verdict. Summary: Plaintiff was a passenger in car when the driver ran into a guardrail. Plaintiff had her cell phone in her hand when the crash occurred. When the air bags deployed it caused her cell phone to leave a large cut in right eyelid and the inside of her right eye/retina ripped requiring surgery and resulting in a permanent blind spot in her right eye. The driver of the car had a blood alcohol content of .17. Plaintiff sued the last night club that she and the driver were at. Defense contended that Plaintiff travelled to and drank with the driver of the car for a significant amount of time before going to the second nightclub where they only consumed two drinks each. Plaintiff previously received driver’s policy limits of $20,000. Summary: A singer in at band performing at the bar, was out in parking lot smoking a cigarette when fight broke out between about 20 people. The Defendant was being threatened and his car was being vandalized so exited the parking lot quickly and when he returned to find his girlfriend, he struck Plaintiff with his car. Plaintiff suffered tears of the anterior cruciate and lateral collateral ligaments in his left knee, as well as a fractured fibula. Plaintiff contended that the tavern and its owner were negligent in failing to provide adequate security for the premises. Defense stated that no fight occurred in the bar, that Plaintiff was part of the mob, and that Plaintiff was actually injured while jumping on Defendant’s car trying to damage it. Summary: Plaintiff was a backseat passenger in a car that was driven by an intoxicated driver and which struck a light pole, parked cars, and a tree. Plaintiff contended that one of the Defendants operated the liquor store where the driver purchased the liquor, drank the liquor and became intoxicated. Plaintiff and her cousin were on a date with the driver and his friend. Defense contended that Plaintiff was complicit in the drinking activities, drove around with him for several hours, and went to the liquor store with the driver to purchase the alcohol. Plaintiff had a blood alcohol content of .159. Summary: Plaintiff was playing pool in a bar when he was struck in the face with a crowbar by an assailant who then fled. Plaintiff suffered severe facial injuries resulting in the removal of three teeth and placement of a dental bridge. Plaintiff contended that the assailant was over served by the bar. The defense asserted that the assailant was not a customer at the bar that night and that the assailant only came in when he heard that the Plaintiff was there and assaulted the Plaintiff because of disparaging remarks he made about his girlfriend. Man awarded damages for deceptive contract. Grayslake man awarded $50,000 for intentional misrepresentation. Summary: Plaintiff tore his left distal biceps tendon. Dr. Sheedy recommended surgical reattachment. Dr. Sheedy called in vascular surgeon, R. Irene Goldstein, who discovered Plaintiff’s ulnar artery had been transected causing permanent median sensory nerve damage. The median nerve injury led to development of CRPS or complex regional pain syndrome. Summary: Plaintiff was admitted to Swedish American Hospital at 6:30 a.m. for the labor and delivery of her second child. At 11:00 p.m. that night a decision was made to deliver the baby via C-section. Dr. Schleicher was called to perform C-section. He was assisted by her family practitioner. After procedure, Plaintiff was transferred to Post-Anesthesia Care Unit at 1:03 a.m. Her pulse rates were elevated in the PACU, but all other vital signs were stable. Her care was transferred to a floor nurse at 2:15 a.m. Her vital signs were not checked again until 3:00 were it was discovered that her pulse rate had risen to 150 and her blood pressure dropped. Tests were performed and when the floor nurse checked the results at 4:10 a.m., Plaintiff’s hemoglobin had dropped to a critical level of 6.9. The family practitioner immediately ordered a transfusion and instructed the floor nurse to call Dr. Schleicher, who returned to hospital immediately. When he arrived, Plaintiff was in cardiac arrest and died of hemorrhagic shock. Defense argued that Dr. Schleicher properly performed the C-section. Defense also asserted that the cause of death was the nursing staff’s delay in taking her vital signs between 2:15 a.m. and 3:00 a.m., the delay in getting tests to the lab, and their lack of communication with Dr. Schleicher and other physicians. Summary: Newborn suffered left brachial plexus injury during birth. Plaintiff argued that Defendant encountered shoulder dystocia during the delivery of the infant and performed improper maneuvers in an attempt to relieve it causing stretched or torn nerves near the infant’s spine. Defense asserted that Defendant utilized the appropriate maneuvers. Summary: Plaintiff underwent total right knee replacement and was given intravenous Clindamycin. Plaintiff was soon transferred to a nursing home for rehab. Seven days later Plaintiff developed a fever and was prescribed Levaquin and tests were ordered. Tests revealed that Plaintiff was positive for C. difficile infection and she was transferred back to the hospital. Plaintiff asserted that all of this led to the acceleration of her pre-existing Alzheimer’s dementia. Defense asserted that Plaintiff’s disease was already rapidly advancing and would have progressed to severe dementia in approximately the same period of time regardless of the C.difficile infection. Nursing home settled prior to trial. Summary: Plaintiff was brought to the emergency room with symptoms of a heart attack. Defendant physician ordered cardiac consultation to rule out myocardial infarction. Six and a half hours later Plaintiff died of a massive saddle pulmonary embolus. Plaintiff’s estate contended that the Defendant physician should have ordered a diagnostic test to rule out pulmonary embolus and stated Heparin. Defense argued that a pulmonary embolism is very hard to diagnose and that the Heparin would not have helped because it would not have been administered in time to prevent the fatal pulmonary embolus. Summary: Plaintiff was under the care of Defendant psychiatrist Timothy Cullinane for the five years leading up to the incident. Prior to Plaintiff seeking the help of Dr. Cullinane, he saw a different psychiatrist and had previously attempted suicide. Two years into his therapy with Dr. Cullinane he made his second suicide attempt. Plaintiff made his third suicide attempt two weeks after visiting Dr. Cullinane. At that time, he showed signs of severe depression. Plaintiff attempted suicide by dosing himself with gasoline and setting himself on fire while sitting in his car. He was rescued by a passer-by. Plaintiff suffered burns over 70% percent of his body. Plaintiff is significantly disfigured, does not properly sweat due to the loss of his pores, and is at risk when the temperature is slights above or below a narrow range. Plaintiff contended that Dr. Cullinane did not properly manage his psychiatric condition by failing to change his medication and offer psychotherapy. Defense asserted that Dr. Cullinane properly recommended therapy and medication changes within the standard of care and even with different medications, Plaintiff was at risk due to his mental illness.